.​At Solar Down Under Pty Ltd, we have been installing solar power to many satisfied customers across Australia for the past 7 years. We offer good quality ,fast and reliable service for a very competitive price. We customize your solar system to suit you daily requirements. Solar Down Under will take the time to find the perfect solar power Solution that best matches your requirements. Finding the right solar power package for your home or business is very important. We know only too well how easy it is to end up with a huge electricity bill at the end of the month or quarter – we’re experts in finding solar packages and solutions for you that will reduce your electricity bills that just seem to be getting larger each time you open the mailbox. We accommodate both residential and commercial situations, no job is neither too big or small for us to giving your a smooth and very economical transition to green energy. With power prices going up by nearly 55 % since July 2011, now is the time consider offsetting your electricity bill with solar energy. Confused about Battery Storage ? Being told that your current solar system is not Compatible ? 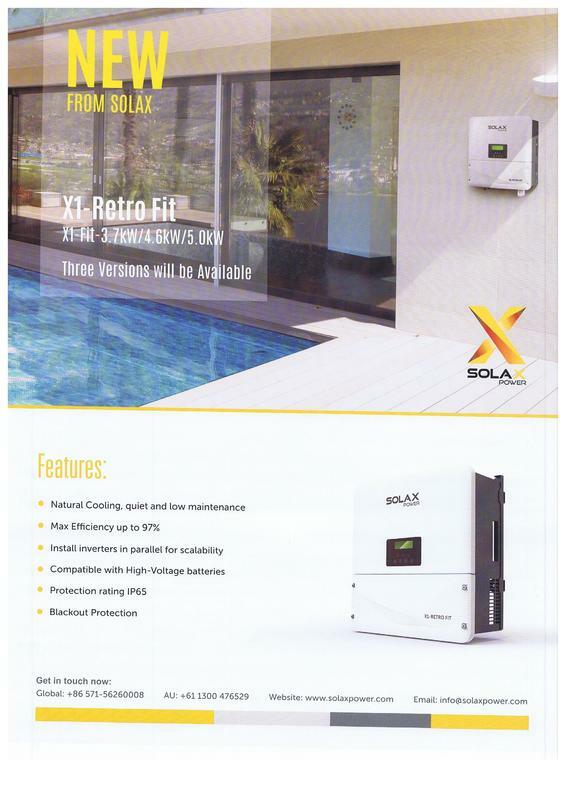 SOLAX now has an affordable solution to suit your needs. ​Have you had solar salesmen trying to sell you a Home Battery Storage System lately? Many customers have been telling us that they would like to explore installing batteries at home to work with their Solar System. ​Are you being told that your current system is not compatible with the product being offered and it will be made redundant? ​Well now there is an easy cost effective way to integrate your current solar system with a storage solution that suits your needs. 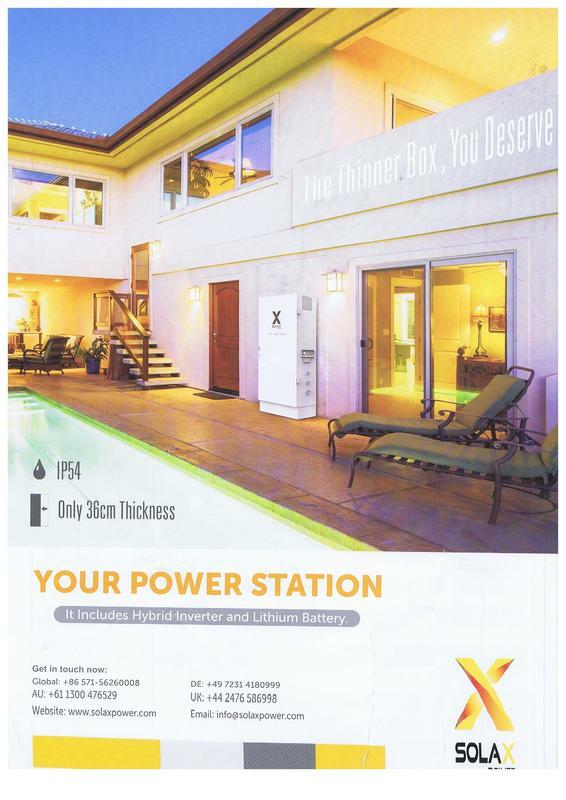 SOLAX have released a product that makes installing a storage system with your current solar easy and cost effective. The units come in a 3.7 kW/ 4.6 kW/5.0kW . ​This unit also lets you enjoy the benefits of battery storage even if you don't have a solar system at present. The Solax unit can charge your batteries in the evening at an off peak rate and allow you to use your stored energy at a later time when the rate is much higher. ​A full monitoring systems lets you monitor and control your batteries from the palm of your hand via you smart phone. ​For more information please contact us via email. Flat roof installations may require extra charge for tilt racking. 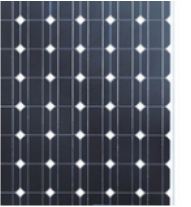 ​Please contact us for custom Solar PV and Battery Storage systems to suit your specific needs.